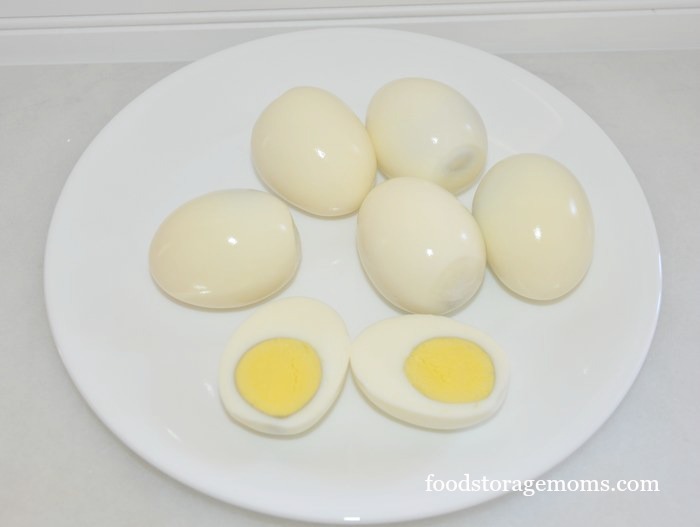 Can you use three easy ways to make hard boiled eggs today? I used to make hard-boiled eggs by placing the eggs in a pan with cold water and then putting the pan on the stove to bring it to a boil. I would have to standby to keep checking the pan because you know how it sometimes boils over, right? Then I would turn the stove off and let it sit for 20 minutes. 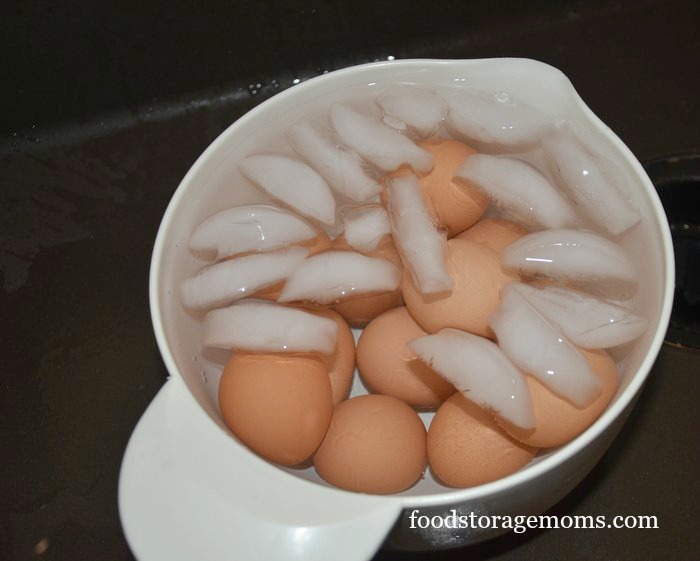 Next, I would drain the water and quickly rinse the eggs with cold water (complete with ice cubes). Not anymore, baby! I have a few friends that raise chickens, and I applaud them. I buy my organic or regular eggs and make egg salad sandwiches or just eggs with salt sprinkled on them after I hard-boil or bake them. 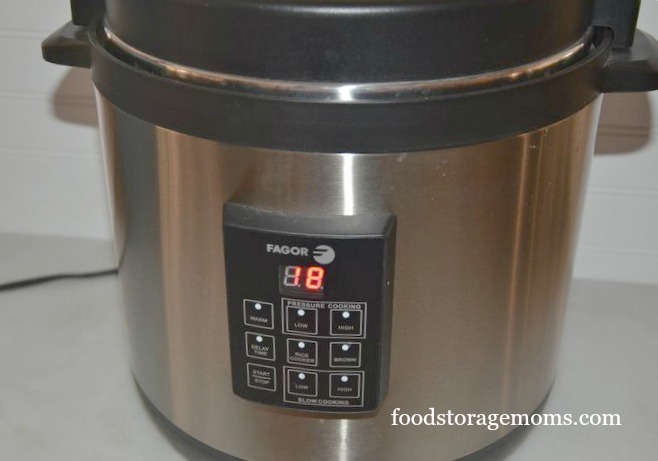 My daughter has four kids at home and the six-quart pressure cooker is plenty big for her family. She uses her Fagor pressure cooker almost every night, literally. 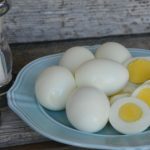 If you need a good egg salad recipe you may want to try mine below. 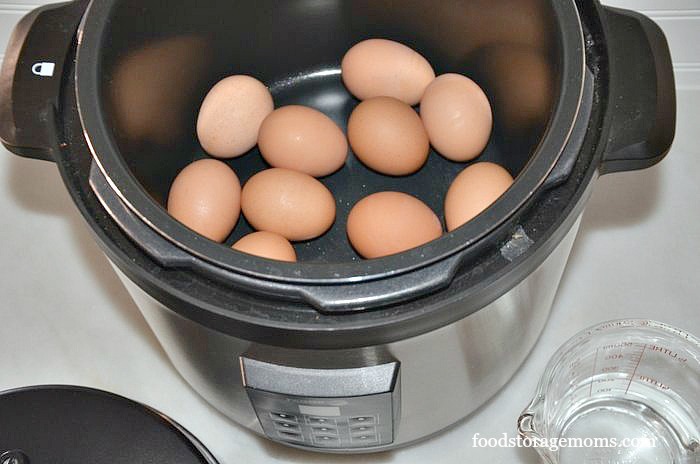 The first thing you do is put the cold eggs (I did 12 eggs) and one cup of water in the pressure cooker. 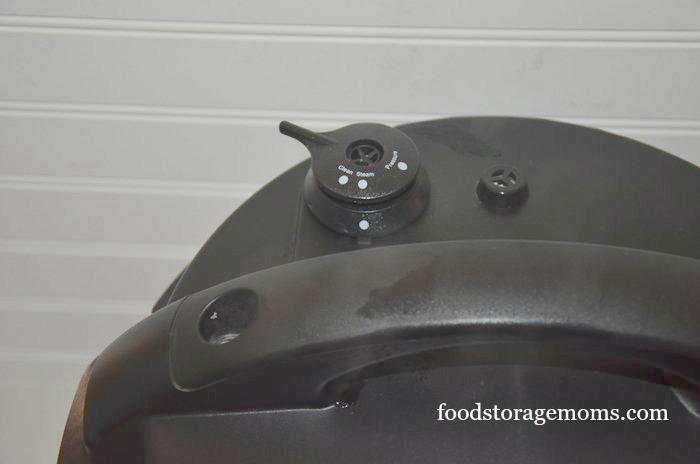 The one cup of water is the minimum amount of liquid that is required to cook any food in this brand of pressure cooker. You can see the “lock” and the “open lock” on the pressure cooker above. 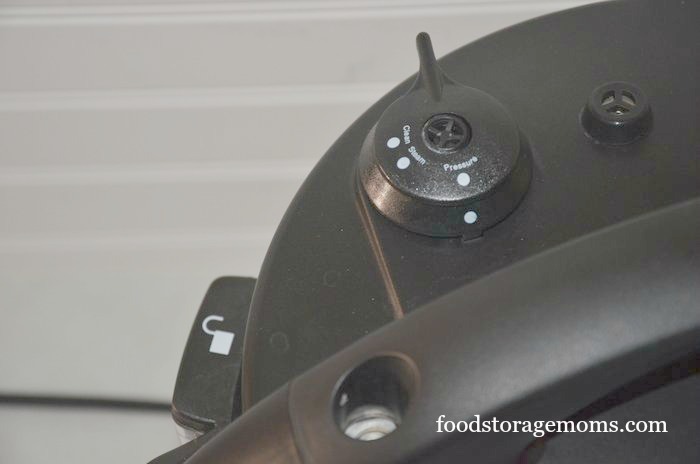 You place the lid on and turn it and when it “clicks” you can see the “open lock” then it is locked and ready to turn the dial on top to “pressure” or “seal” depending on the brand you have. 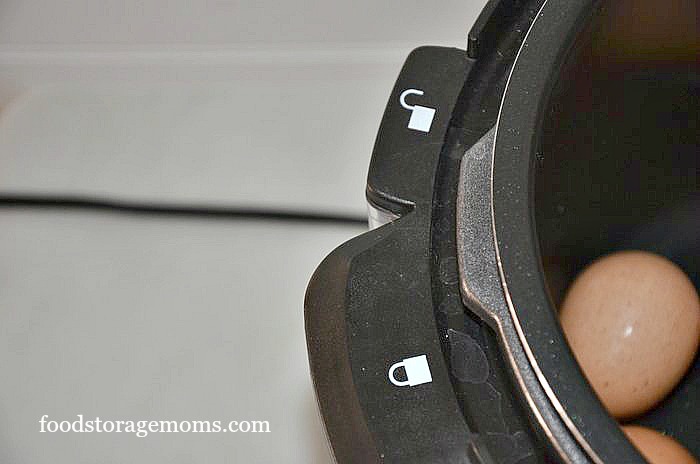 Plug the pressure cooker power cord into an outlet and you are ready for the next step. 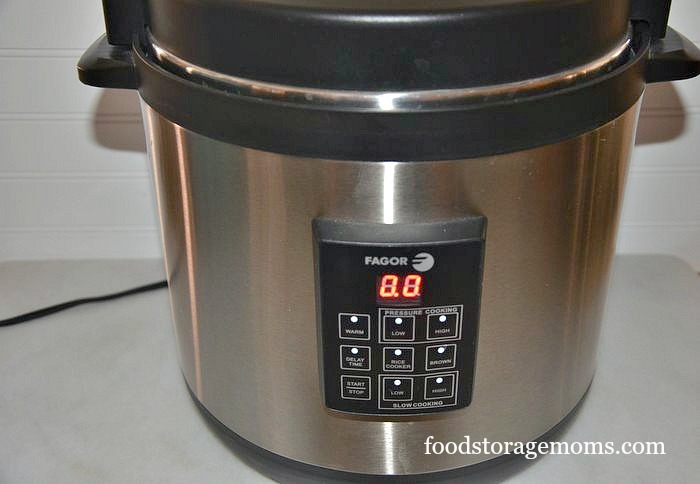 This is the front of the pressure cooker and you can see some numbers. When the lid is locked it says 0.0. It looks like 8.8 in the picture but it’s 0.0. Now to cook eggs in this pressure cook it takes 15 minutes on HIGH. So, click the HIGH button until it says 15 (15 minutes) and push START. Now here is where you must be patient. You will see the “15 minutes” until the pressure is built up and starts cooking. Then you will see 15, 14, 13 minutes and so on until you hear it beep, this means it’s finished cooking. PLEASE be careful with this next step. You can see: “pressure, “steam” and “clean”. 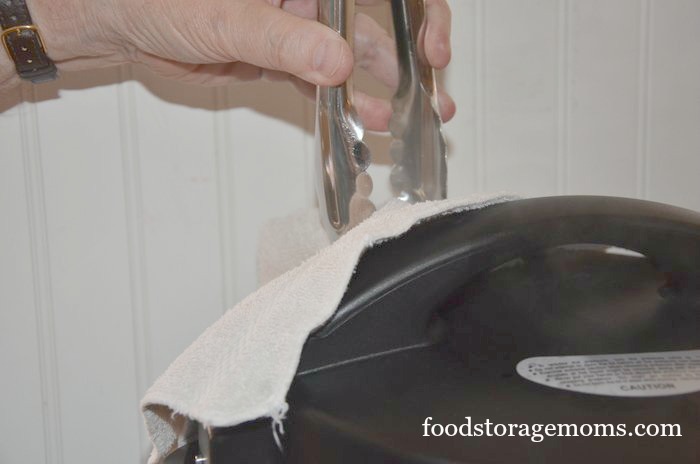 You MUST NOT turn that dial without a hot pad, wash rag or tongs or whatever on top of the lid. I place the rag to protect my hands from the hot steam. It is extremely hot steam. I slowly release the pressure by turning the dial to “steam” with a wash rag over the dial and a pair of tongs. The steam is VERY HOT and will release under some pressure. Step back and let it do its thing. Once the steam stops if you can turn the lid the pressure has been released. There is still a lot of steam when you turn the lid and lift it off. 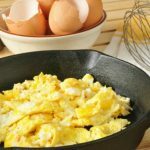 You carefully lift the eggs out of the pan with a slotted spoon or a regular spoon and place the eggs in a bowl with cold water and ice cubes. I let them sit for maybe ten minutes and then peel them. 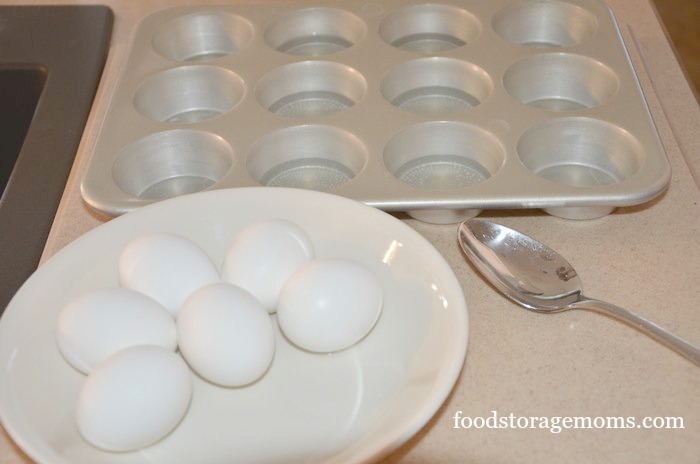 Place the number of eggs you want to hard boil (bake) in a muffin tin. I take them straight from the cold refrigerator. If I’m going to turn my oven on I’m going to bake 12 eggs to fill my muffin tin. Today I only did six because I did so many other eggs in the pressure cooker. Preheat your oven to 350 degrees. I put about 1/4 to 1/2 inch of water in each muffin cup, give or take. If it’s one inch that’s fine. Bake for 30 minutes. Remove the pan from the oven and run cold water over the eggs. Add some ice cubes to chill the water faster. Now they are ready to peel! These are so easy to peel, I love it! 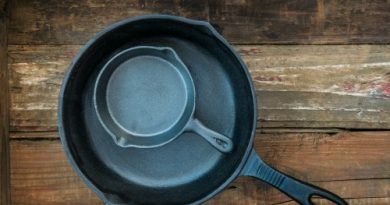 You will never go back to standing and watching a pan boil to make them on top of your stove. 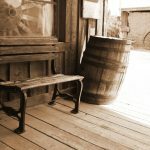 I wrote this article about one year ago about baking eggs in a Sun Oven, but I wanted to share it for those who may have missed it. I removed the eggs after baking and plunged them into cold water with ice cubes like you do when you use your kitchen stove. I waited another 10 minutes and peeled them. Yes, you will see a few tiny brown specks caused by “baking” them, but……wow this is so much easier! One HUGE deal is the fact they peel easier! I love saving money on my power bill too! 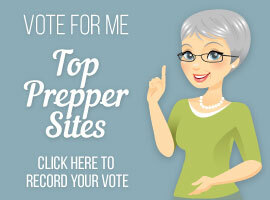 I really like, and suggest you try to use the items I have available for emergencies. 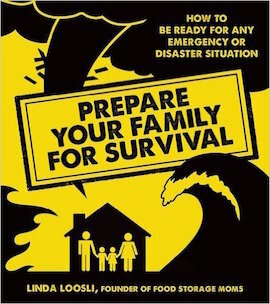 This gives me confidence that the process will actually work when I’m under pressure to perform in an emergency situation. If you have a Sun Oven, or any new item to try out, do it now before you really need the experience of how things work, you’ll be glad you did! Picture trying to use your Sun Oven for the first time when the emergency has caused the power to go out. 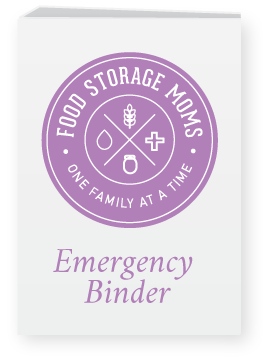 We always try new appliances, food supplies, and other preparedness items at our house right when we get them so we have some experience under our belts. Again, picture trying to bake bread or prepare some other vital food item at the time of the actual emergency without ever testing things first. 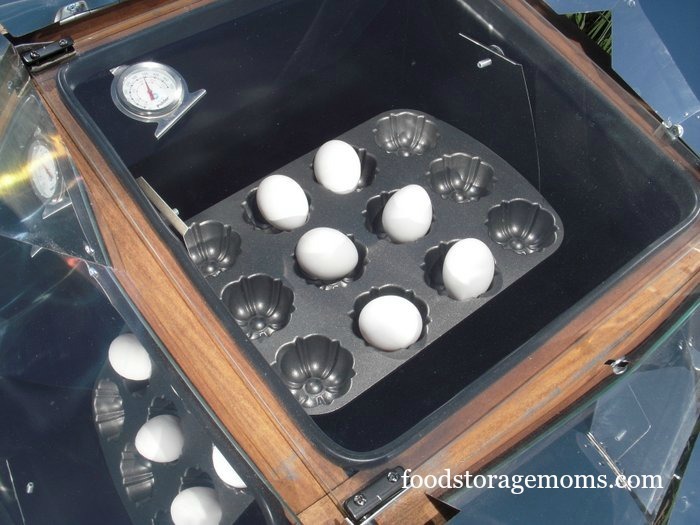 I hope you try making hard boiled eggs in your Sun Oven. 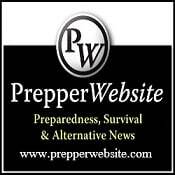 If you don’t have one I highly recommend saving your money to buy one of these to save on your utility bills and be ready for any unforeseen disaster. Chop the eggs as finely as possible. I use a chopper. Combine the eggs, mayonnaise or Miracle Whip. Stir in the salt, pepper, and sugar. Serve on lettuce bed or make a sandwich with the mixture. Let me know what you put in your egg salad, I would love to hear from you so I can try something new. Again, great information. Really appreciate the info on the sun oven – I’ve tried several times to ‘hard-boil’ eggs in it but have had various outcomes. The oven was probably not hot enough when I popped them in. I will try again following your instructions. As for egg salad, I add finely chopped celery and green onion along with a dollop of mustard and of course mayonnaise. I don’t add any sugar as mayo is sweet enough for us. One of these days I will purchase a pressure cooker – I am so curious about them. The only ‘experience’ with one that I have is seeing food splattered on the kitchen ceiling at an in-laws home many years ago. Of course, her pressure cooker was not modern with safety features but it left a lasting impression on me. 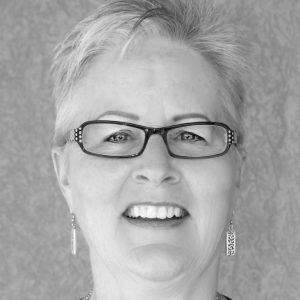 Hi Linda, thanks again for another great post! I love my pressure cooker and never thought to do eggs in it. I guess I think they will explode inside!! And my hard boiled eggs hardly ever turn out right so I’m excited to try this. Thanks for the tip on cooking in the oven. I always have trouble cooking eggs on stove top, and peeling afterwards. I am going to do this tomorrow as I am now missing egg salad. 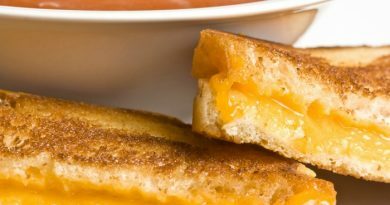 I put mayo, a touch of mustard, a little relish in it, a pinch of sugar – yum! But I will be trying the celery and green onion recipe…double yum. I am saving up for the sun oven. Who would have thought that you could pressure cook eggs???!!! Hi, I add dried chives and horseradish and a little chili powder with the mayo and mustard, and sprinkle the tops with paprika or smoked paprika because it looks so pretty! You pierce the fat end of the egg and place it pointy end down in the cooker with a measured amount of water in it, put the lid on and plug it in and switch it on. It takes about 15 to 18 minutes until it beeps and then I turn them into a pan of cool water and pick them up one at a time and crack them all over and drop them back in to the water. Then pick one up and start peeling. Capillary action has now put water between the membrane and the egg and they peel really easy. 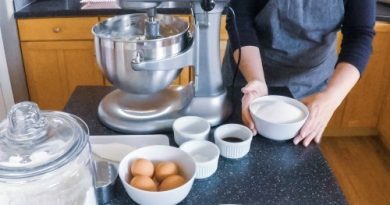 My other tips are to use filtered water or distilled as the cooker will last longer and I like my hard eggs just a little soft, so I use less water than the line on the cup/ piercer to make them just how I like every time! I do not have enough sun for a solar oven, but I think they are really nifty! Thanks for all your great ideas! I put them in a pan of cold water with a little baking soda (about 1-2 tsp. ), bring them to a boil and then put a lid on the pan and turn off the heat. 20-25 minutes later put them in cold water. The soda in the water makes them peel easily and they are perfectly cooked every time. I use my Sun Oven for baking eggs all the time. I just set them out in a cardboard egg carton. Here in Arizona, in the summer time, it literally pays me to use the Sun Oven to cook as often as possible because otherwise I’d be using my gas range to boil water and heat up the house–placing an additional load on the Air Conditioning system. Seems silly to heat up a place just to pay to cool it down when we have loads of sun. I’ll ditto Ellen C on adding mustard, diced celery and green onions to egg salad and i also leave out the sugar. One other thing I often add when the garden is producing is diced cucumber. I’ll be baking eggs in my Sun Oven today. Tomorrow I’m baking Blueberry/Zucchini bread with the last of the zucchini I froze from last year’s garden. 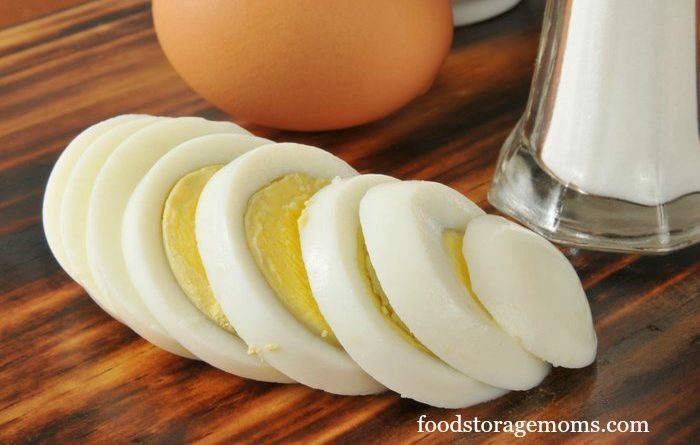 In my egg salad I also like to use finely chopped onion and sweet pickle.